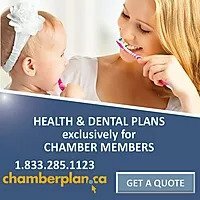 The Canadian Chamber of Commerce released the 10 Ways to Build a Better Canada That Wins, document that provides business, decision-makers and government with a series of clear priorities and objectives that, if addressed, will give Canada a competitive edge, improve productivity and grow the economy. A strong and prosperous Canada depends on business growth, but businesses are grappling with daunting challenges—economic, political and technological—at home and abroad. To help them compete and grow, they developed the 10 Ways to Build a Canada that Wins to guide businesses, government and other stakeholders towards new opportunities. Beginning January 31, 2018, the Employment Standards Division of the Ministry of Labour Relations and Workplace Safety will host a series of free webinars for Saskatchewan employers, employees and organizations. Their goal is to raise awareness about employment standards topics many employers and employees would like to know more about. The webinar series will cover a variety of topics about Saskatchewan’s Employment Standards legislation including overtime, scheduling, payment of wages, employing young workers and more. Each webinar will take approximately 45 minutes to an hour, including time at the end of each session for questions. Many or all of these topics may interest your employees or members. Each session begins at 1:00 p.m. Central Standard Time (Regina). To register for each webinar just click on the registration link below. The link will take you directly to the GoToWebinar registration form. This webinar will provide an overview of some of the main features of employment standards in Saskatchewan under Part II of The Saskatchewan Employment Act. This webinar will help you understand vacation entitlements, the rules for taking a vacation, and vacation pay. This webinar discusses Saskatchewan’s employment standards for schedules and hours of work. These rules help to determine when overtime applies. This webinar discusses overtime provisions under Saskatchewan’s employment standards. This webinar also discusses the rules for calculating overtime for employees who are not paid by the hour. This webinar discusses the requirements for applying for an Averaging of Hours Permit and how to set up a Modified Work Arrangement to vary the overtime rules under Saskatchewan’s employment standards. This webinar reviews the requirements for ending employment relationships under Saskatchewan’s employment standards. This webinar discusses topics that are common concerns for the food service industry. This webinar discusses the employment standards for paying employees and keeping payroll records. This webinar will discuss the requirements for employing young people. This webinar will discuss the rules for calculating public holiday pay and premium pay. This webinar will discuss common misconceptions about Employment Standards legislation.